Red oak tree ablaze with fall color; photo by Kevin Harber on Flickr (noncommercial use permitted with attribution / no derivative works). 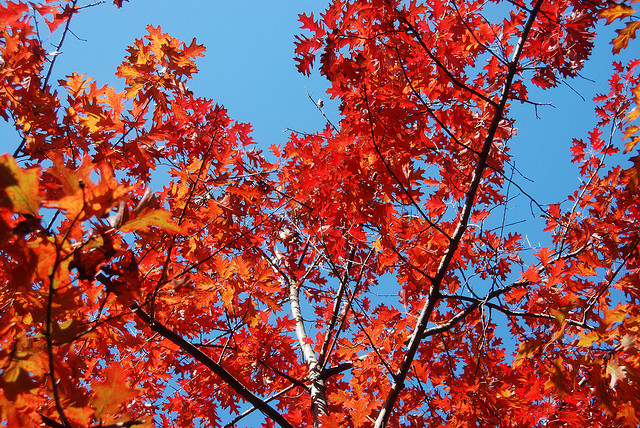 The northern red oak is named for the reddish color of the wood, though the fall foliage can also be a brilliant red. The acorns, leaves, and seedlings of northern red oak provide food for a huge array of wildlife including many species of birds, deer, elk, bear, squirrels, rabbits, and rodents. An important source of hardwood lumber, the coarse-grained wood of the northern red oak tree is hard, strong, heavy, and durable. Red oak wood has been used to make railroad ties, fence posts, furniture, flooring, and for many other uses (it is also an excellent firewood). 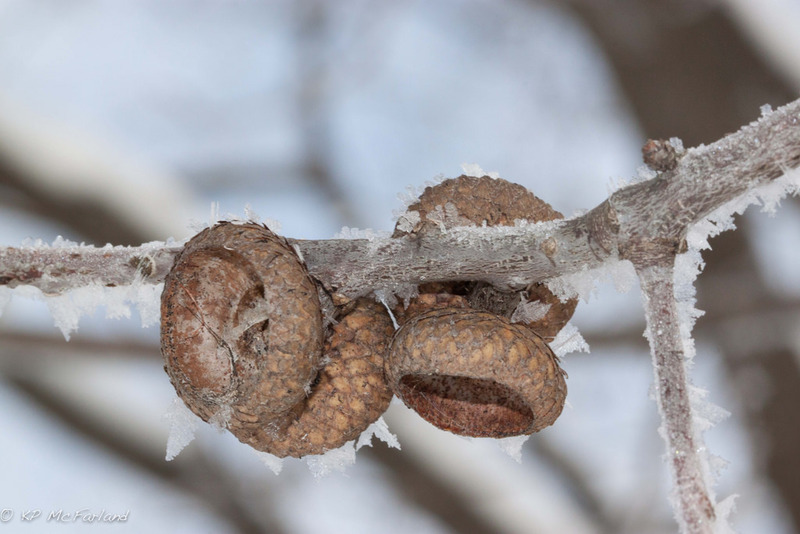 Northern red oak (Quercus rubra); acorn caps on winter branch. Photo by Kent McFarland/Flickr (noncommercial use permitted with attribution). 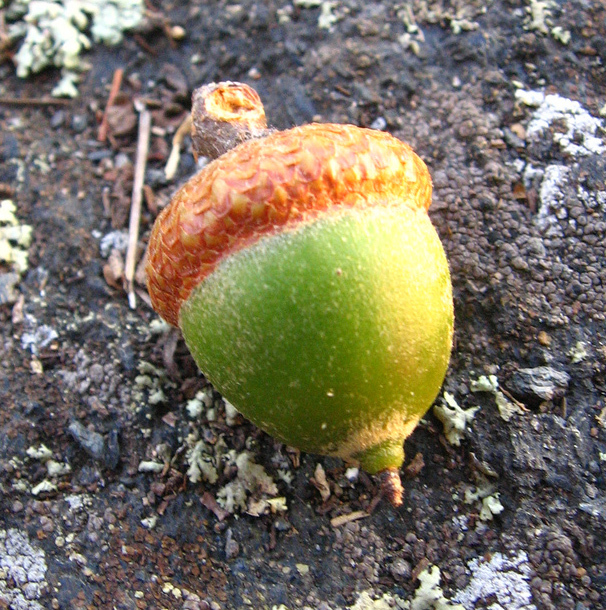 Single acorn lying on the ground; from a northern red oak tree. Photo by jon hayes/Flickr (noncommercial use permitted with attribution). 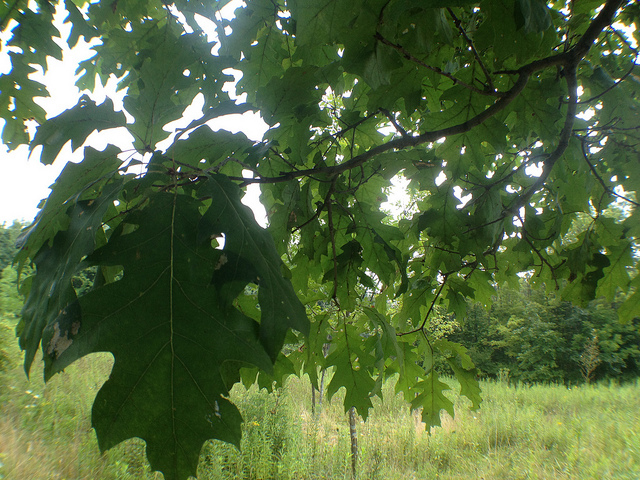 Northern red oak leaves in summer; photo by Jessica HIckman in Flickr (noncommercal use permitted with attribution / share alike). 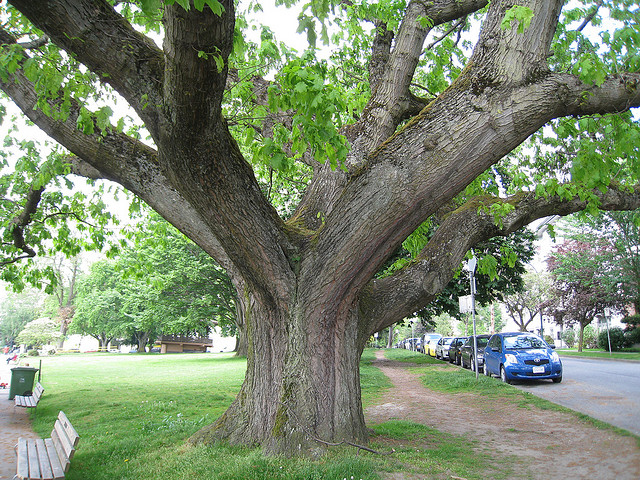 Massive red oak tree; photo by Wendy Cutler on Flickr (use permitted with attribution). 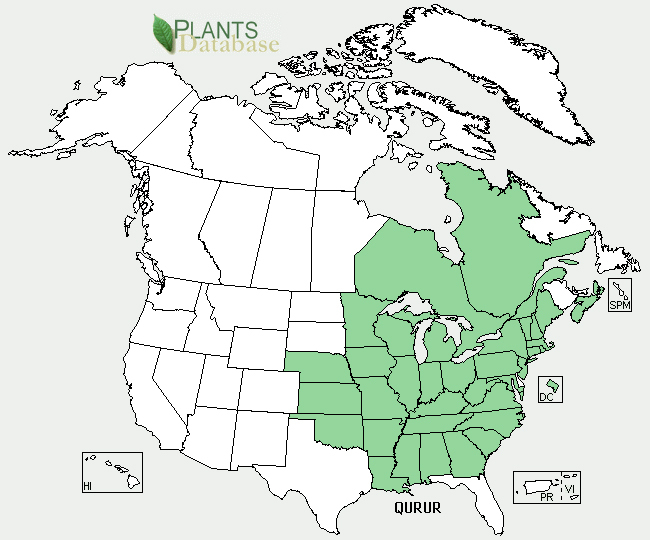 Range of northern red oak tree; public domain image from USDA Plants Database.